not to be confused with the carving, and the lighting, those will both come later. 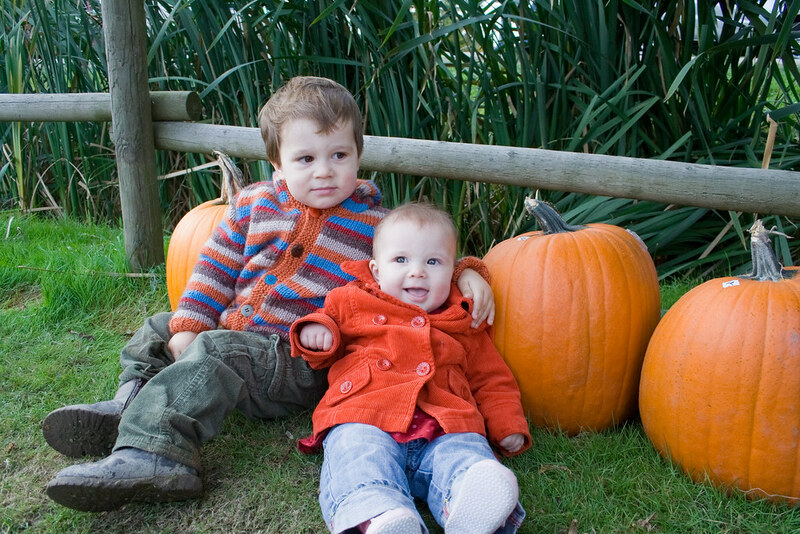 here is a comparison with cohen at this age, in the same pumpkin patch. i don't know why i keep comparing them, i guess i am just trying to figure out if they really do look alike or not. everyone says something different. i know that there are way more of ada than of cohen, but he wouldn't sit still, there are kids playing mom! let me go! turns out toddlers aren't really into photos, so i thought i might as well abuse the somewhat docile infant. the photo i took right after this last one shows cohen as a blur across the screen, he had had enough, it was time to run. cute! I think they look like a boy & girl cut from the same cloth - not identical but definitely siblings. Cohen looks so old in the bottom photo - I can see a glimpse of him as a teenager! They're both so cute!! And they do definitely look alike. 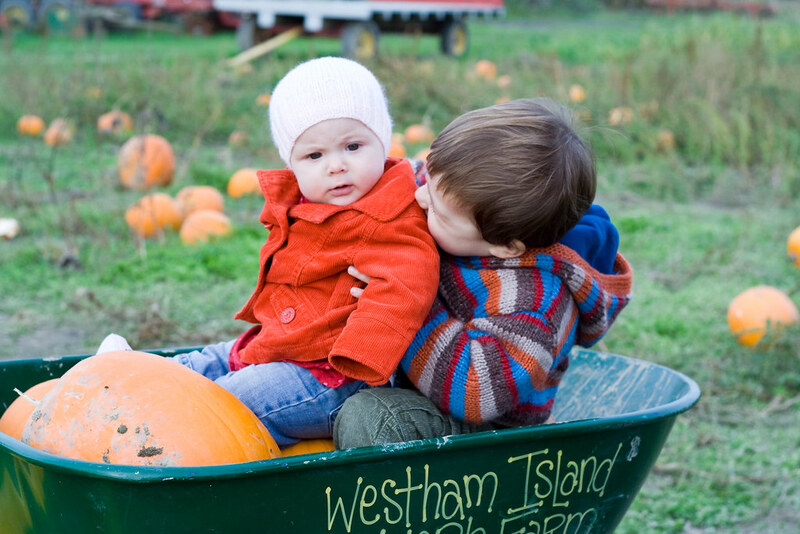 Love Ada's sweet orange coat. 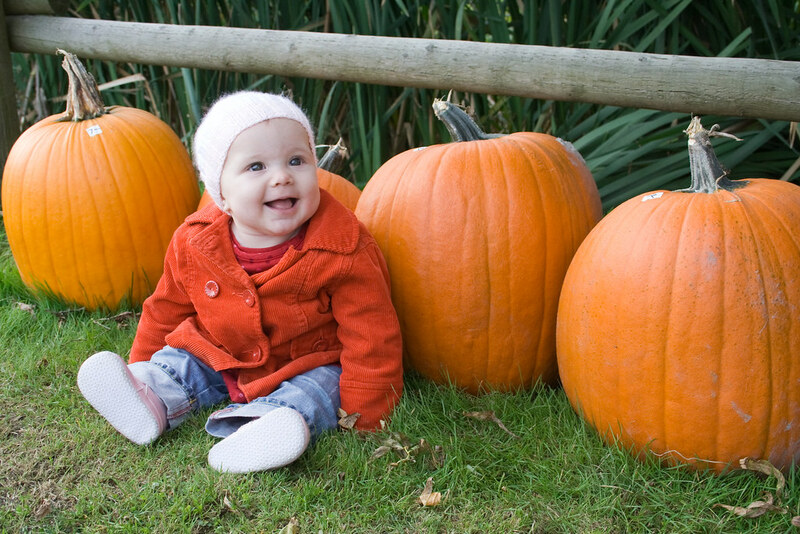 We love that pumpkin patch - egads, I can't believe it's almost Halloween. Must get out there this weekend. 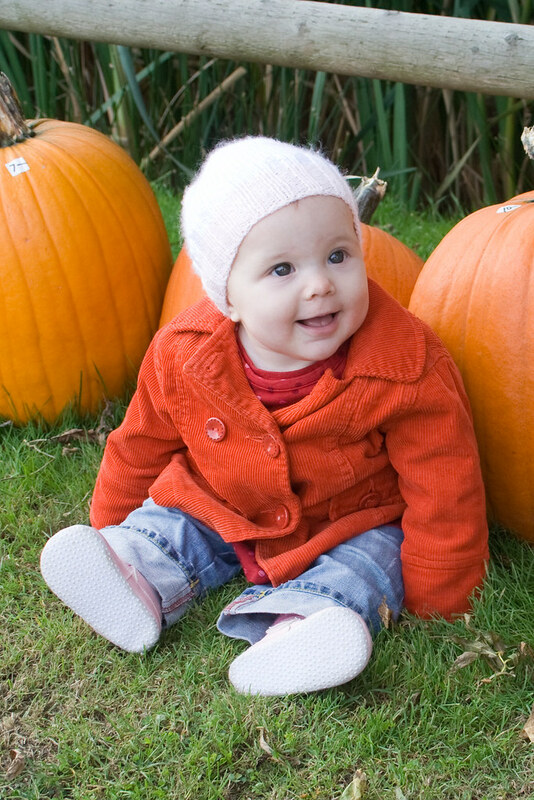 Tara: Ada and Cohen are gorgeous! 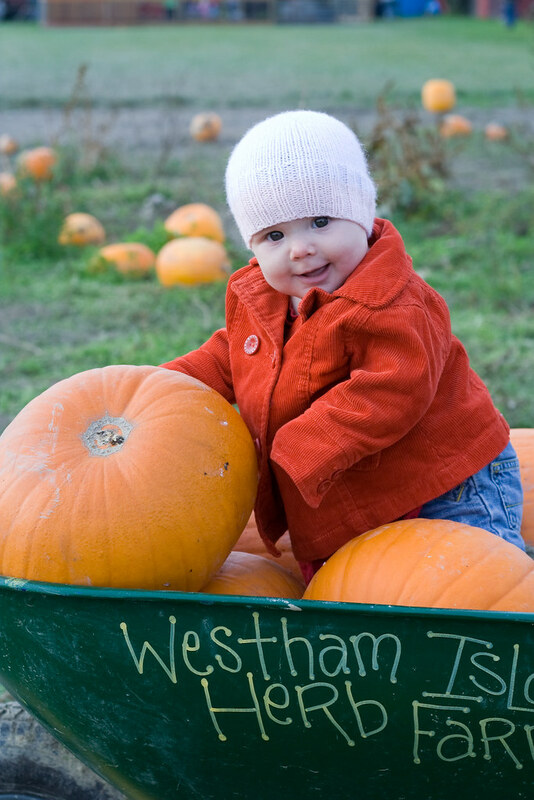 Ada has such a great smile, and Cohen looks so sauve in that last photo. I hope that you're doing well! I think that they definitely do look a like, especially when you compare the photo of Cohen at the same age.